With Thanksgiving, the winter holidays and all the traditions they bring upon us, you might be feeling like requesting, cooking and/or bringing healthy, plant-based options might be a challenge. But fear not: plant-based options have never been more convenient, more affordable, more accessible and more popular! Uncle Jim might not understand why you’re now passing on the turkey. Cousin Tamara might pass on the invite to your house this year since you won’t be serving anything that isn’t plant-based. But that’s OK; with plant-based holiday options, you’ll be setting new traditions for yourself, for the loved ones who support you and for your health. If you live with chronic pain, you know that a mind-body approach that emphasizes improvement on your overall health – including your diet – is key to managing your pain. What you may not know is that choosing to follow a plant-based diet may help to provide you some relief. 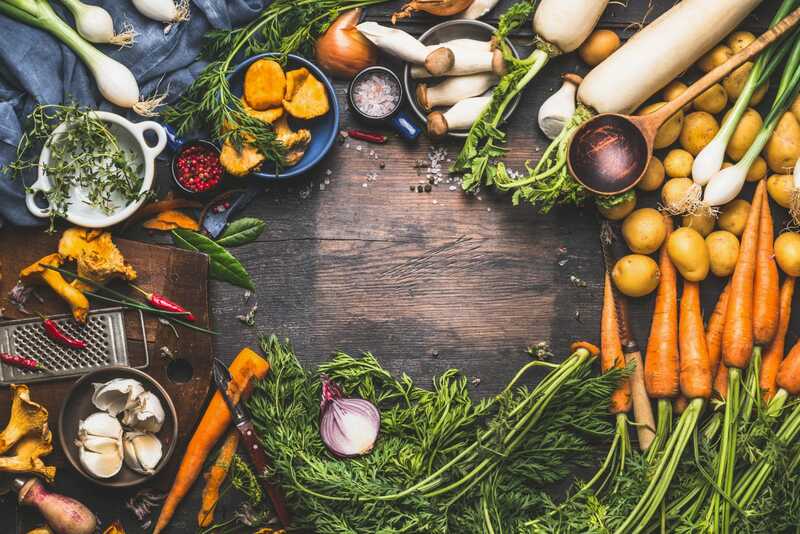 Be it chronic inflammatory diseases, diabetic neuropathy pain, diabetic neuropathy pain, fibromyalgia, or a myriad of other invisible illnesses, research shows that plant-based diets can be a powerful management tool. So let’s explore the health benefits of a plant-based diet and a few recipes that will fit perfectly on your first plant-based holiday table. Sure, switching to a whole food plant-based diet may mean making some significant lifestyle and food choice changes. And sure, it may mean people around you may have a lot of questions (some of which you may not know how to answer), especially if that means a plant-based holiday menu. But it also means you get to reap health benefits galore! “Of the millions diagnosed with cancer every year, as many as 90 to 95% of cancers are caused by ‘lifestyle factors,’ and only 5% to 10% caused by bad genes.” Eating a diet that is not plant-based is one of those factors. Don’t believe the growing body of science that shows this? Then check out the number of success stories and testimonies from those adopting this diet while battling cancer. Those who live with chronic musculoskeletal pain can see significant improvements in chronic pain and function if they switch to a plant-based diet. Plant-based foods include vegetables, fruits, whole grains, legumes, tubers, nuts and seeds. Well-balanced plant-based diets are low in saturated fat, include complete proteins, and are nutritionally dense with a focus on vitamins, minerals and fiber. Adopting and adhering to the diet long-term as opposed to expecting results right away is key to your success. Drinking a green smoothie one day will not prevent illness even if it is high in antioxidants, vitamins and minerals. But drinking a natural fruit and vegetable smoothie most days over several months and years and combining such an option with other healthy plant-based options on a daily basis can help to prevent a range of illnesses and help you establish a healthier lifestyle.